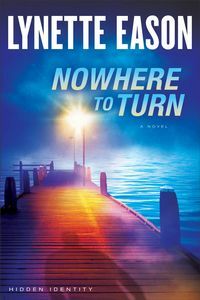 Nowhere To Turn by Lynette Eason: Synopsis and Online Purchase Options. Synopsis (from the publisher): The day Danielle Harding takes her 11-year-old son, Simon, and flees from her abusive husband, is the same day Kurt Harding dies. A relieved Dani believes she and her son are finally safe — but in reality, the danger has just begun. When Kurt was alive, he took something important to a mysterious person. That person wants the item back and believes Dani now has it. As she and her son run for their lives, they have nowhere to turn, until she hires Adam Buchanan of Operation Refuge and goes into hiding.